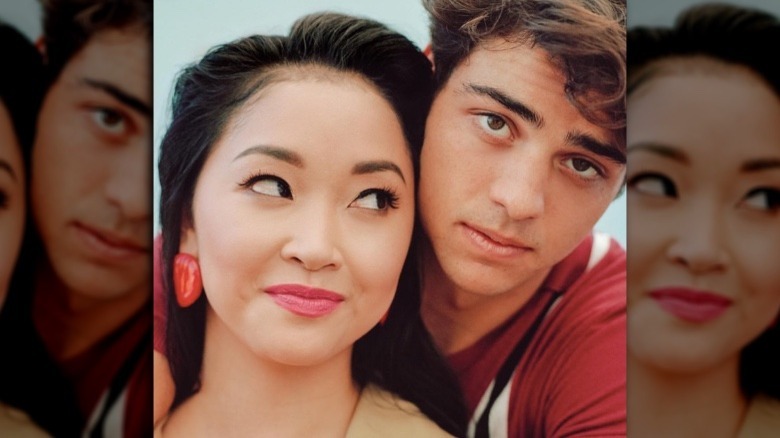 To All The Boy’s I’ve Loved Before’s Peter Kavinsky has put all of our past, and seemingly good, high school boyfriends to shame — and we’re not even mad about it. Noah Centineo’s portrayal of the character has also revolutionized the classic nice boy trope so common in rom-coms. Sure, Peter is still a jock, but he’s not the brooding, “misunderstood,” and often problematic character we’re so used to watching on screen. He’s nice — actively nice. Is it really any wonder Lara Jean, a dreamy introvert and hopeless romantic, fell for him? 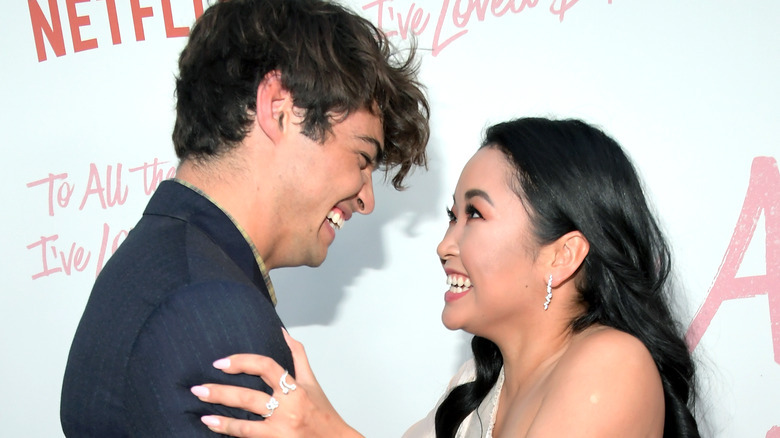 While we’re tempted to call Peter and Lara Jean the cutest couple ever, that award might just have to go to Noah Centineo and Lana Condor. Jenny Han, the author of the book on which the movie is based, observed the stars’ chemistry to be both “sparkling” and “really genuine,” as she revealed in an interview with Vulture. So, are the two actually dating IRL? Here’s the untold truth of the most adorable pair. Afterwards, the actress discovered that she would be doing a chemistry read with the very guy she had blew off. Although she was worried that he was going to hate her (spoiler: he didn’t), their read was a success. She told the publication that after just that first read, she “knew immediately he was gonna be cast.” Adorbs. Although Centineo and Condor were already in their twenties when they took the roles of the adorable high school couple, it wasn’t hard to act a few years younger — at least for Condor. In an interview with Vulture, Condor said her cast members, who were more or less around the same age, were helpful in that department. “Being with Noah makes me feel like a little girl,” she divulged, “So he actually really helped me be able to play younger.” That’s not all Condor said about her handsome costar. “I love him, I’m giddy around him, he makes me giggle and makes me really happy…” the star continued. That’s right — she dropped the L bomb. Condor ended her thought by saying Centineo makes her feel like a high schooler all over again. Okay, yeah, we get that. Still, those are some pretty strong words to say about a costar you may not even be dating. Condor is not shy about her feelings toward Centineo. Despite their awkward introduction, Condor admitted to MTV News that she thinks Centineo is “the greatest guy ever.” And, even though she was pretty giddy around him, she didn’t find being his costar difficult. She also revealed something that might just explain why she was so giddy around Centineo during filming. “I have a huge crush on him,” she divulged, “I like to think he has a crush on me, but, you know, whatever.” Get it, girl. Does Centineo feel the same? While he hasn’t actually used the word “crush” to describe his feelings for the actress, he did take to Instagram to share a photo of himself with his arms around Condor. Oh, and the caption? “She melts my heart,” it reads. Fans filled the comments with heart-eyed emojis and compliments like “You too [sic] look so cute together” and “Undeniable chemistry.” They’re not wrong.